There's a great Sketch Challenge over at the Global Design Project this week and it was a popular one for all the Design Team too. I seem to have lost my mojo at the moment and every time I attempt to step out of my comfort zone and be a little more adventurous nothing seems to come together quite how I like it. I just can't seem to resist the colour combination of Crumb Cake, Pink Pirouette and Melon Mambo....and I'm also a sucker for Linen Thread!! I did however follow the sketch and put the base layer on a tilt and for that I am quite proud of myself! 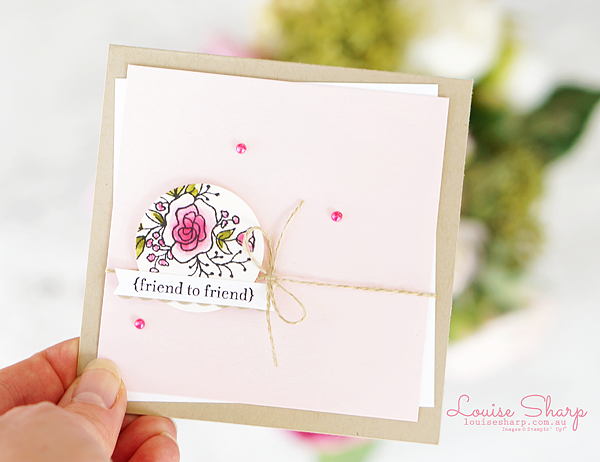 I used the flower from the Lots of Happy Card Kit and one of my favourite sentiments 'friend to friend' from the Teeny Tiny Sentiments stamp set. The finished card size is 10x10cm. Firstly, it happens, the pain is real. If it hasn't happened to you yet, it will and if you say that you have never lost your mojo, you're simply lying! You don't need to reinvent the wheel - sometimes simple is best. Stay true to yourself. I like using pinks and so I do. If you like earthy tones, bright projects or even if you like using loads of embellishments - then use them! CASE - Copy And Selectively Edit or Copy And Share Everything - either way you like to say it, CASE AWAY my lovely people! 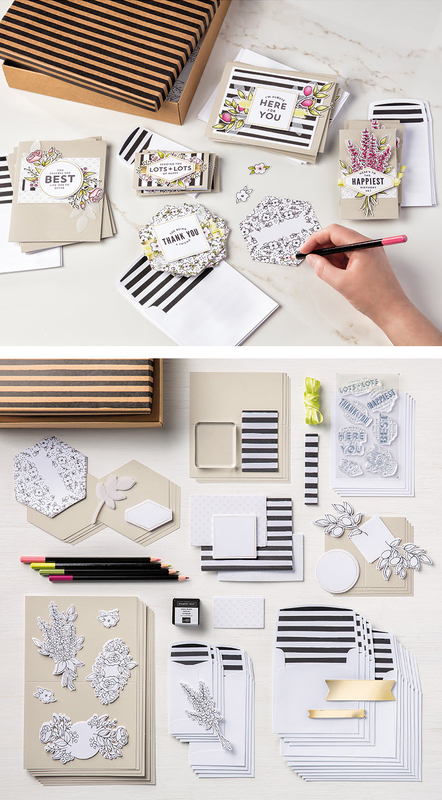 Go to Pinterest, Instrgram, Facebook or Split Coast Stampers and use an idea from someone else and make it your own. However, if you do plllleeasse make sure you give credit where credit is due and share the person who inspired you - it's the nice thing to do. CASE yo'self! (lol) For today's project I was inspired by two cards I had already made. Refer to #1 - there's no need to reinvent the wheel, so I didn't! Play along to challenges like our Global Design Project. The Design Team share the most stunning projects and there's always something to give you direction like a sketch or colour combination or theme. Some other great challenge blogs include Just Add Ink, Mojo Monday, Fab Friday and CAS(E) this Sketch - just to name a few. Like Dory from Nemo - just keep swimming. Do NOT stop creating. This is the worse thing you can do. Even if you simply colour like you did when you were a kid, it will be better than stopping. I promise if you keep creating your mojo will return, giving you peace and the world will continue to spin again! Hopefully next week I will be feeling more inspired to step out of my comfort zone - actually who knows if that will ever happen! I do however promise to take my own advice and will keep creating. 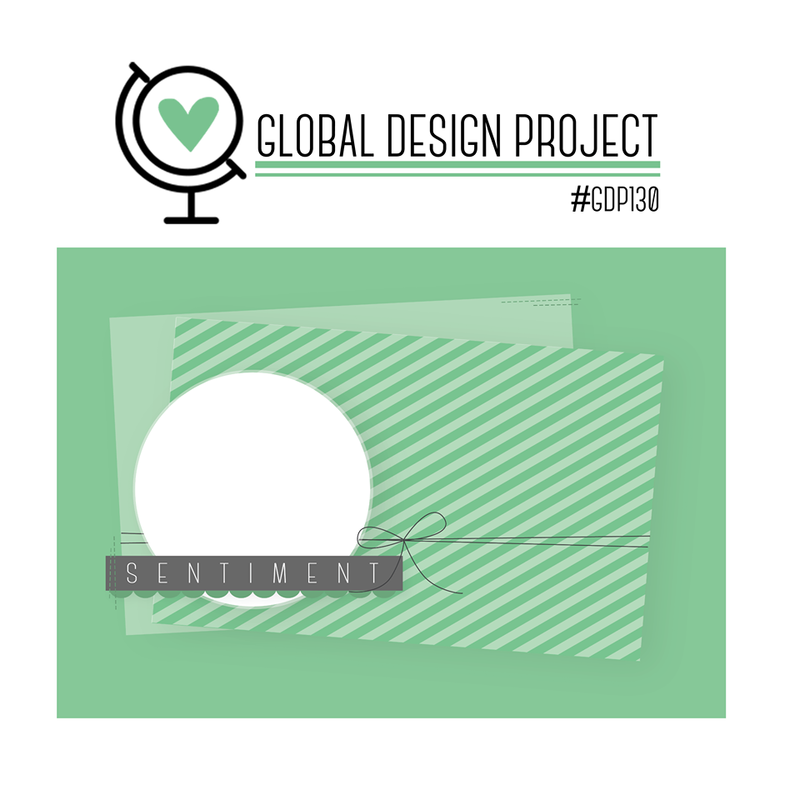 To give you even more inspiration head over to the Global Design Project and see what the amazing Design Team have in store for you this week. Hi Louise, such great advice. Sorry you are feeling a little "blocked" at the moment- I totally know what you mean. But I LOVE your card (doesn't show that you were struggling in any way!!) Thanks for pointing out that little flower stamp - it looks so lovely. What a sweet card. Good advice about MOJO! I think all of us have been there. I love love your style! Every card is a part of you, and that why everyone is beautiful! feel your pain. I'm not in the zone at all lately. Lovely card though. I love how simply you stamp.